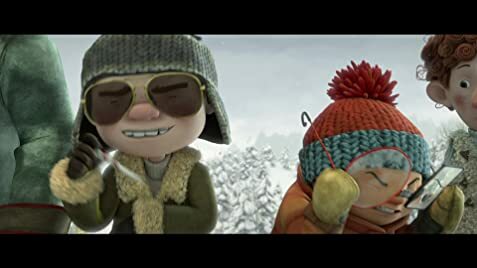 If the Canadian (Quebecois) animated feature’s characters look family, you might have seen the film THE DOG WHO STOPPED THE WAR which RACETIME is based on or SNOWTIME which is its prequel. RACETIME, as its title implies is a race of sleds. The subject is the spectacular sled race through the village. Frankie-Four-Eyes and his team, including Sophie as the driver, take on the newcomers: the mysterious and conceited Zac and his athletic cousin Charly. The fantastic sled designed by Frankie disintegrates right before crossing the finish line. This becomes the most bitter loss for Frankie who refuses to accept that he might have made some building mistakes. Frankie gets into a fight with Sophie who blames the sled. Together with his friends, Frankie manages to prove that Zac cheated during the race. Frankie demands a rematch; which Zac accepts on condition that Frankie build an entirely new race track. Frankie and his friends build a spectacular race track. Zac realizes he is up against a worthy opponent so he raises the stakes even more by cornering Frankie into betting the barn. As the two teams prepare for race day, Zac has no scruples about cheating even more to weight the outcome of the race in his favour. But Frankie and his team have a few surprises of their own in store for him. The Canadian animation can nowhere be compared to the animation of Disney and Pixar studios. But RACETIME holds it own. What it might lack in technology is compensated by creativity. 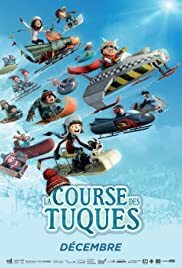 The animation fo the races, the one at the start and the climatic one are both brilliantly conceived and executed with the sleds soaring into the air, while the sleds turn as if cameras were placed in the real sleds. The snow in the animated scenes also looked remarkable real. The film could do with a solid villain or a nastier Zac than one who merely cheats. The part where Frankie befriends his nemesis treads clichéd territory. However, this can be forgiven for a family film. The film contains a few scenes with blurry images and a few where objects are flung out (like snow pellets) of the screen. RACETIME must have been conceived as a 3-D film at one point. Of all the voice characterizations, the best one is Frankie’s. Frankie is voiced, surprisingly by a female, Lucinda Davis, who has to ability to make even the most ordinary of lines like ‘How dare you?’ funny. 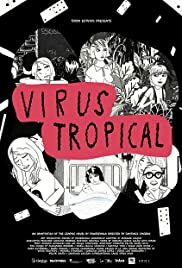 For the audience who likes a bit of romance in the story, there is a sub-plot involving the strongest kid in the village, Chuck and Charly, the sister of the cheating Zac. 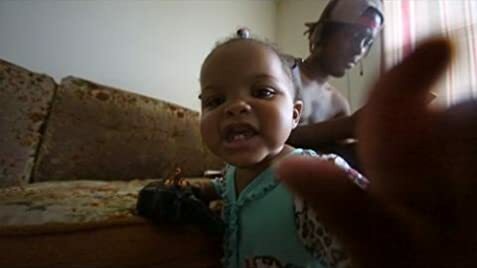 The film also contains a few messages for the young audience – put in for good measure. There are a few song and dance numbers -the songs courtesy of Cindi Lauper. The animated dance sequence at the end to celebrate the winner of the race is also sufficiently lively. RACETIME turns out to be an entertaining harmless family romp (never mind the one fart joke), credit to the Canadian and Quebec filmmakers. For one only the blacks are centred. Very little is heard or revealed on the white pollution – even whether they are a minority, as if they did not matter one bit. The film is pessimistic in outlook. 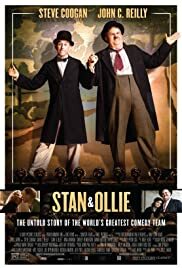 Nothing is mentioned of the decrease in unemployment or the increase in voter turnout in the years following the film being made The film generalizes from just the few subjects chosen on camera. 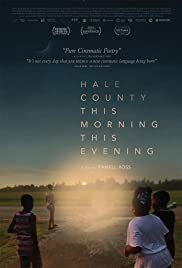 HALE COUNTY THIS MORNING, THIS EVENING is a film the many have not heard of – then suddenly appears out of nowhere for a limited engagement at the TIFF Bell Lightbox. It is also thanks to Bell Lightbox that small films like this one have a chance at being seen. 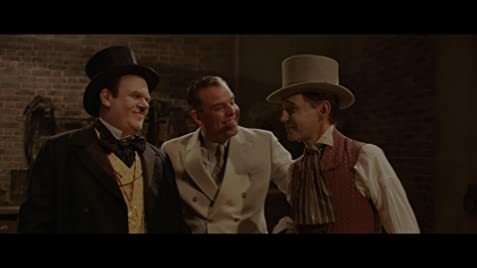 The film title THE KID WHO WOULD BE KING is likely used due to familiarity with the medieval hit, John Huston’s 1975 Rudyard Kipling adaptation of THE MAN WHO WOULD BE KING. Don’t let either the title or the fact that this is a family film discourage you from seeing this picture. Despite the film’s limitations of targeting a family audience, there is plenty to enjoy for adults. Also ignore the silly ad” “Kids Rule” that would turn off adults. 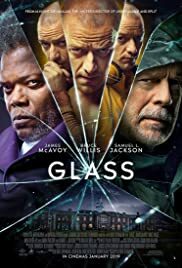 The story follows Alex Elliot (Louis Ashbourne Serkis, son of Andy) a young boy who is picked on at school and does not appear to be very special at all. However, that soon changes when he finds and pulls King Arthur’s famous sword Excalibur in the neighbourhood construction site. He discovers that he is destined to form a new round table for an upcoming battle with the medieval villain Morgana (Rebecca Ferguson), who summons evil forces to rule the world, after being banished by King Arthur. All this information is revealed at the film’s prologue – animation style. The wizard Merlin (Angus Imrie) assists Alex in his quest. He is depicted as a young incarnation of Merlin in the film but capable of transforming to his old self (Sir Patrick Stewart). If Morgana’s evil forces, creatures made up dark black with infra-red eyes look familiar, these creatures bear an uncanny resemblance to the invading aliens in ATTACK ON THE BLOCK, a small first feature that was a hit. And with solid reason. KID is directed by that film’s same director Joe Cornish who has the talent of bringing his films filled with spirit, humour and imagination. Performances are surprisingly spectacular. 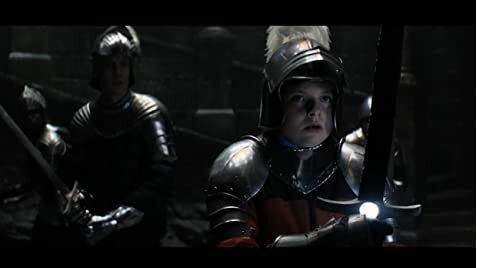 Deserving of mention is relative newcomer Angus Imrie who plays the young Merlin, who suddenly appears as a new student to help Alex in his quest to save the world. Also delivering a heartwarming and sometimes gut-wrenching performance is Denise Gough, an Olivier Award (British Theatre) winner who plays Alex’s mum. The location where the fights and setting take place is stunningly captured on film by cinematographer Bill Pope. The film is shot in the Cornwall area, south coast of England. The film can also be considered to be a super action hero film, with Alex as the young schoolboy King Arthur type hero saving the world. The film also has plenty of special effects to go with it – so action fans will be delighted. 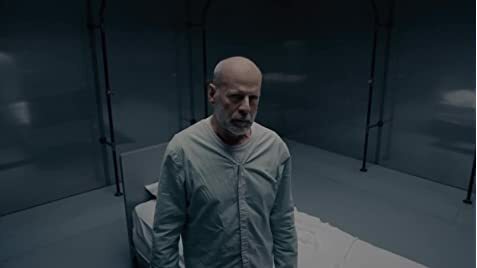 The special effects is dished out small doses at a time with nothing much at the first half of the film but then coming out strong at the end creating a solid climax for the film. 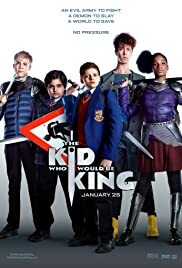 THE KID WHO WOULD BE KING is an often imaginative super hero adventure cleverly blending medieval times with the modern with lots of good messages from the director Joe Cornish who the TFCA (Toronto Film Critics Association) awarded the Best First Feature way back when for his equally impressive 2011 ATTACK ON THE BLOCK. This film rules!